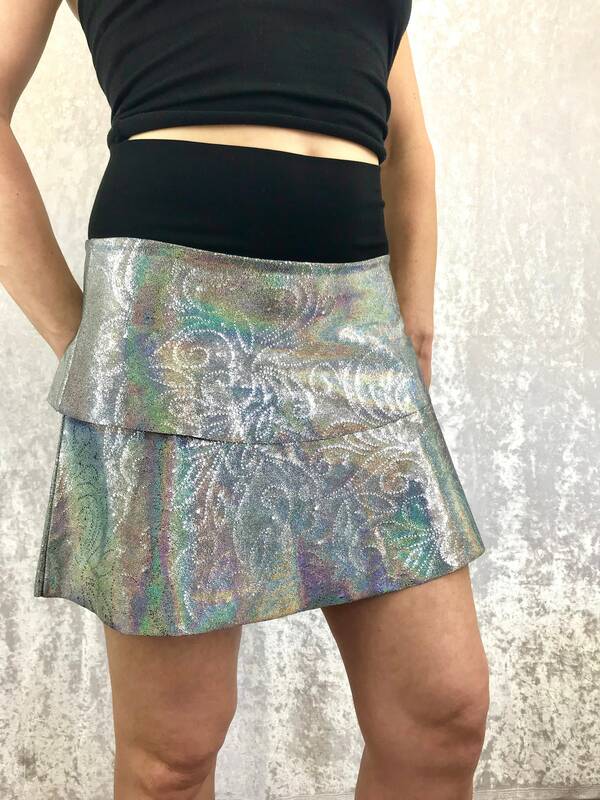 Hologram Floral Sparkle has a beautiful rainbow sparkle that shines bright. A definite show-stopper! This fabric is actually super comfortable and a medium weight, it's not clingy and drapes nicely. 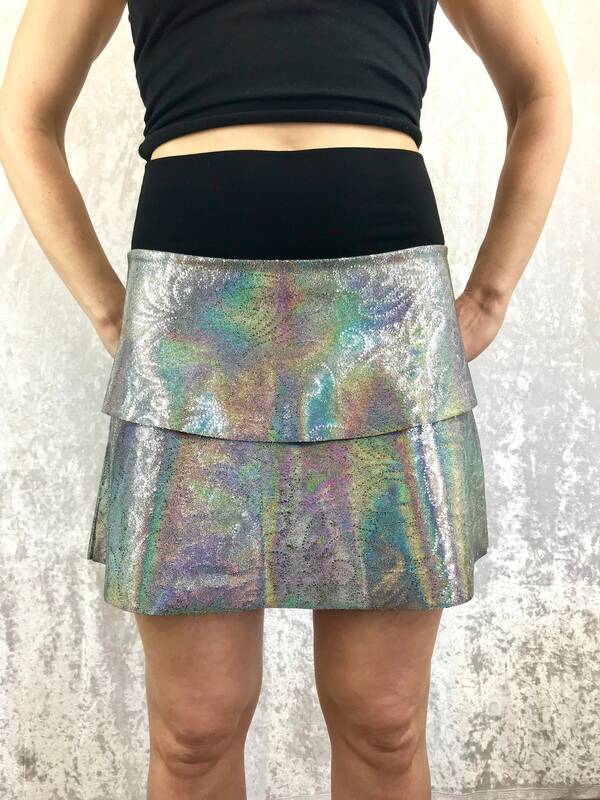 One of a kind :) I can only imagine the adventures this skirt will go on!!! So-Fine® presents our Festie Funk Collection; FFC! Get ready to rock it out in style! 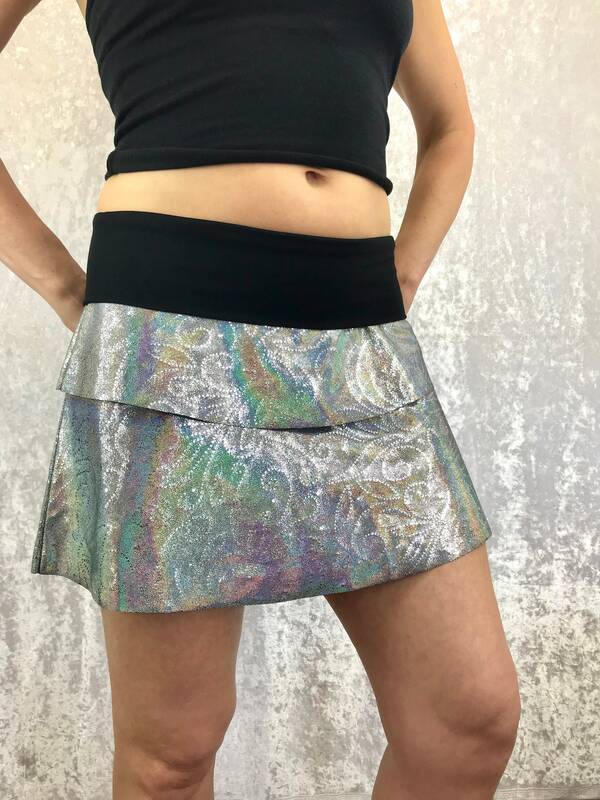 If you're going to a music festival than you're in need of So-Fine festie funky skirts!! This style couldn't be more comfortable! Designed with an extra wide waistband, 95% Bamboo 5% it makes for a great fit which is also very complimenting. The entire FFC So-Fine® collection is handmade by Karen Anne Sadegursky, in her studio located in Sainte-Adele, Quebec, Canada. If you're unsure about sizing, please send a message, I will be happy to guide you through picking a size. My main goal is to make you happy and looking So-Fine!